Ronan Maiden Hannah Moss slips past defenders for two. Ronan Maiden Aislyn Baker shoots a jumper. Ronan Chief Anthony Camel scores two. 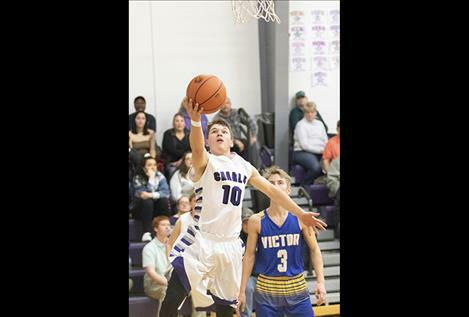 Landers Smith scored 17 points to lead Charlo to a 49-46 home victory over the Victor Pirates in Class C non-district boys basketball action Friday night. Connor Koenig added 14 points for the Vikings who start the season 3-0. The Arlee Warriors, two-time defending Class C boys basketball state champions, started their quest for a third title at the 27th annual Native American Basketball Classic tip off on the campus of Montana State-Northern in Havre. On Friday, the Warriors defeated Class B Lodge Grass 65-58, however, they fell 52-43 to Class B Rocky Boy on Saturday. 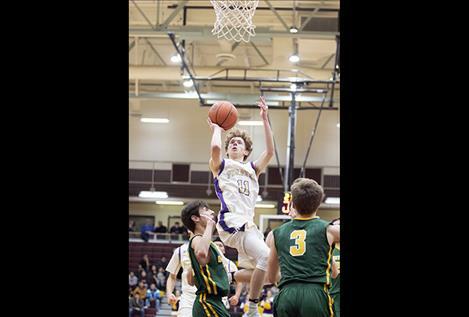 The Polson Pirates opened their 2018-2019 season at home with a 64-56 loss to conference rival Whitefish Bulldogs on Tuesday, Dec. 4. Robin Erickson scored a team-high 17 points for the Pirates followed by 13 points from Colton Graham. On Friday and Saturday, the Pirates competed in the Western A Tip-Off hosted at the University of Montana in Missoula. Colton Graham scored 17 points to lead the Pirates past Stevensville 67-56 on Friday. Both Kordell Walker and Trevor Schultz each added 12 points in the first win of the season. In Saturday’s matchup, Hamilton ran away with a 75-49 win over the Pirates. Graham scored a team-leading 11 points, while Walker added another 10 points. Anthony Camel scored 18 points to lead the Chiefs in the first game of the Western A Tip-Off against Frenchtown on Friday in Missoula. Frenchtown managed to hold off a late rally by the Chiefs to take the 57-52 win. 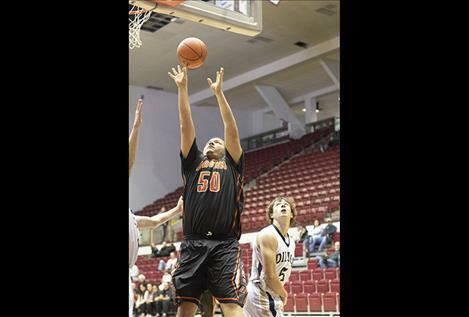 The Dillion Beavers prevailed over the Chiefs 74-55 in the early Saturday morning matchup. Camel scored 22 points and Jacob Gatch chipped in another 10 for the Chiefs. In Kalispell, the Mission Bulldogs grabbed an early season 68-38 win on the road over the Stillwater Christian Cougars on Saturday. Jacob Hugs scored a game-high 16 points, while Jedi Christy added 13 points for the Bulldogs. On Friday, the Charlo Lady Vikings opened up a 35-6 half-time lead and went on to an easy 54-10 win over the visiting Victor Lady Pirates. Lady Viking Liev Smith led all scorers with 13 points. Allie Delaney finished with 11 points and 11 rebounds for Charlo. The Arlee Scarlets started the season on the road during the 27th annual Native American Basketball Classic tip off on the Montana State-Northern campus in Havre on Friday and Saturday. In Friday’s game, the Scarlets lost a close one to Poplar 58-55 and fell 78-46 to Box Elder in Saturday’s matchup. 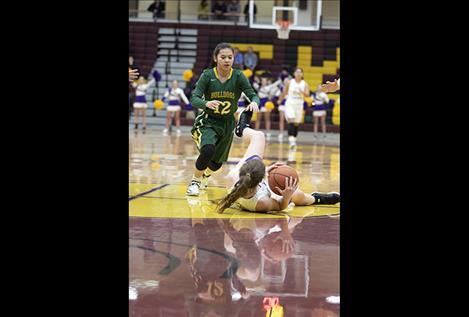 On Tuesday, Dec. 4, the Lady Pirates fell 51-15 in their home opener against Whitefish. Alex Pierre led the Lady Pirates with 10 points in the 56-36 loss against Stevensville during the Western A Tip-Off in Missoula on Friday. 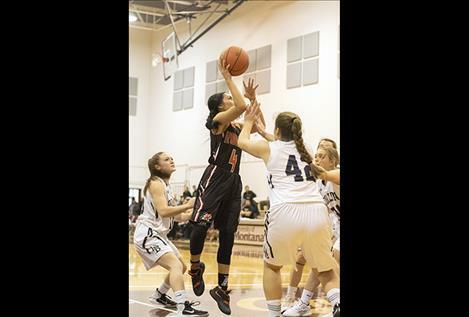 In Saturday’s matchup against Hamilton, the Lady Pirates fell 68-29. 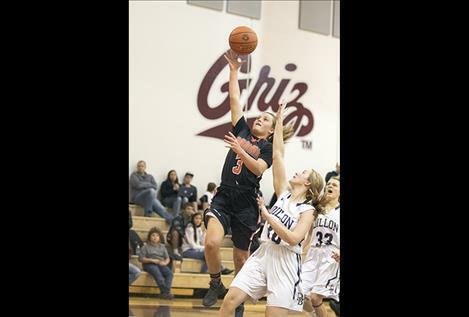 The Frenchtown Lady Broncs outlasted the Ronan Maidens 38-28 in the first game of the Western A Tip-Off in Missoula on Friday. Ronan Maiden Jaylea Lunceford paced all scorers with 13 points. The Maidens rebounded on Saturday with a 42-39 close win over Dillon to even their season record at 1-1. Madison Clairmont led the Maidens with 10 points. The Mission Lady Bulldogs notched a mark in the win column with a non-conference 55-36 road victory over Stillwater Christian on Saturday.